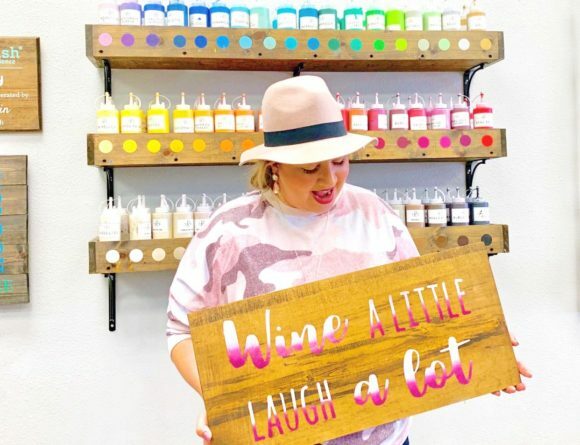 Today I’d love to introduce you to Kristyn, a Houston-based blogger from Panama (she’s a fellow Central American) and the voice behind Pleasures of Life. 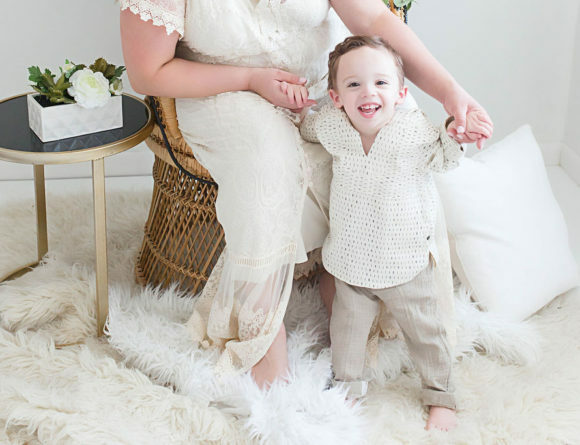 I met Kristyn through her beautifully curated Instagram feed and then knew she had to contribute a piece to Lipstick and Brunch because she goes out to brunch…a lot and this mamma has not! 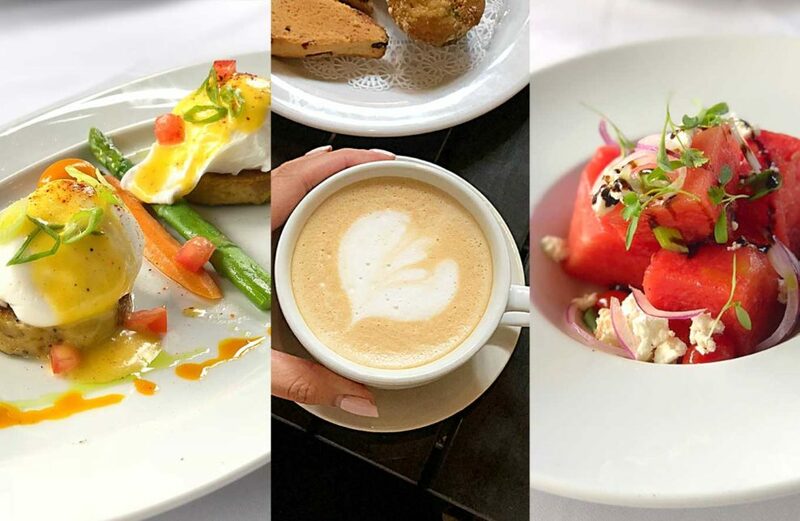 For this week’s Houston Restaurant Weeks, I’d like to take you on an adventure and share the top Houston brunching spots I tried; which are bound, not only to delight your palate, but also illustrate the richness in gastronomy that our great city has to offer. To start things off, Maison Pucha, delights your pallet with a refreshing 1st course entreé which includes their unique watermelon salad with goat cheese and red onion. Followed by a main course of eggs benedict on a plantain base, topped with their signature yellow ají hollandaise sauce. Lastly, to seal the deal, the house specialty; the soufflé with organic chocolate and homemade vanilla ice cream. Which just melts in your mouth. To wash it all down, I recommend, The Paloma. 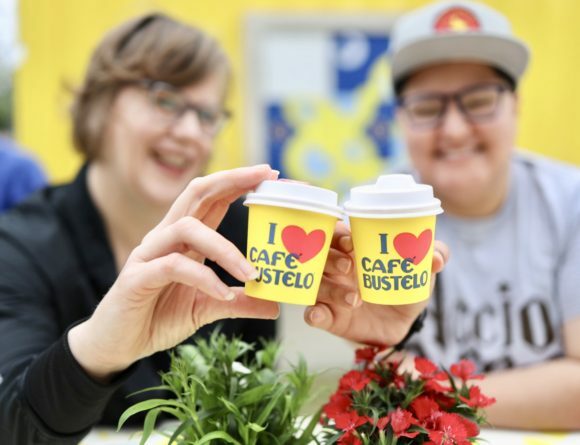 Now, if tradition, history, service, and consistency in the market is more your thing, then Backstreet Cafe is the way to go. They’ve been in the market for more than 35 years, and their delicious menu, full of classic options, reflects that. We began our tasting with a mouth watering iceberg wedge salad garnished with bacon, tomato, fried shallots and blue cheese. We followed it with a classic Mexican savoury dish known as Migas. 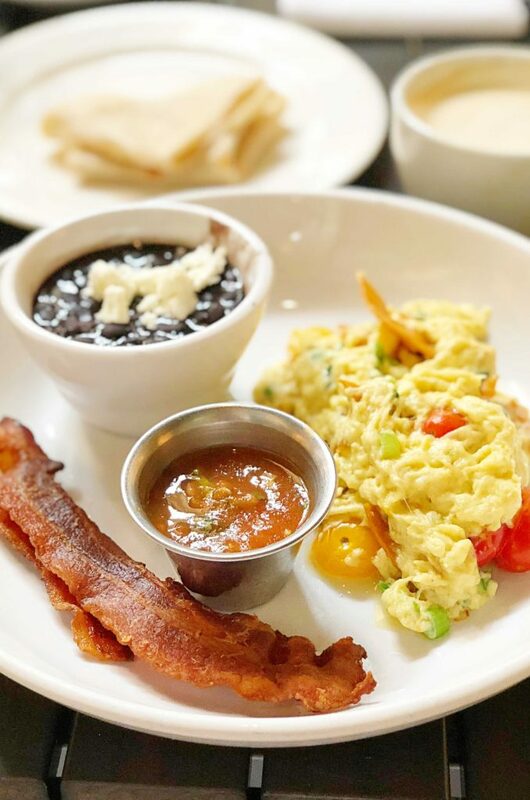 It consists of scrambled eggs with jalapeño, tomatoes and cheese accompanied by black beans and bacon. To top things off, Backstreet have added their spicy house sauce, which perfectly compliments and brings the flavours together. Lastly to sweeten the palate, you can’t miss out on Backstreet’s Clubber Summer. A mini tart consisting of Texas peach and blueberries topped with ice cream for a very fruity combination. As for the drink, you can’t go wrong with The Wild Berry Mimosa. Last but not least, and impossible to leave out, La Table Houston. Not only does it’s beautifully designed interior and decor inspire the feeling of being in France, but its service, succulent food, and attention to detail really go beyond expectations. To start off, my favourite greens, avocado and cucumber salad topped with a sherry vinaigrette and red onions. 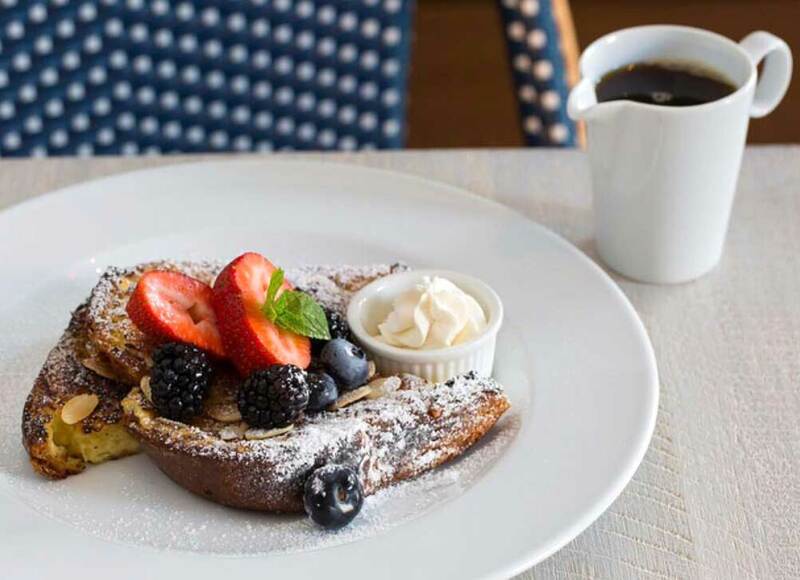 For the main course, I suggest with the French Toast topped with delicious almond crusts and berries; a must have at a French restaurant! To end things, a classic créeme brûlée with the perfect ratio-combination of lemon and honey and finally, in the spirit of everything Versaille, to accompany the meal, a Caffè Latte & Bellini Royale. Needless to say, there is a distinct pleasure one gets when consuming great food. I hope these little selections will help you when deciding on your next brunch options, and take your palate on an adventure full of robust flavours. Bon Appétit!